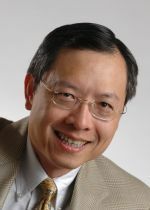 Ming C. Wu is Nortel Distinguished Professor of Electrical Engineering and Computer Sciences. He is Co-Director of Berkeley Sensor and Actuator Center (BSAC) and Faculty Director of Berkeley Berkeley Marvell Nanolab. Dr. Wu received the B.S. degree in electrical engineering from National Taiwan University in 1983 and the M.S. and Ph.D. degrees in electrical engineering and computer sciences from the University of California, Berkeley, in 1986 and 1988, respectively. From 1988 to 1992, he was a Member of Technical Staff with AT&T Bell Laboratories, Murray Hill. From 1993 to 2004, he was a professor with the University of California, Los Angeles (UCLA). Since 2005, he has been a professor with the University of California, Berkeley, He is the author of more than 500 papers in journals and conferences and 25 U.S. patents. His research interests include Optical MEMS (micro-electro-mechanical systems), MOEMS, optofluidics, silicon photonics, nanophotonics, and optoelectronics. Prof. Wu is an IEEE Fellow and a Packard Foundation Fellow (1992 – 1997). He was a member of the IEEE Photonics Society Board of Governors from 2013 to 2016. He was a recipient of the IEEE Photonics Society William Streifer Scientific Achievement Award in 2016, the Optical Society of America Paul F. Forman Engineering Excellence Award in 2007, and the Optical Society of America C.E.K. Mees Medal in 2017. T. J. Seok, N. Quack, S. Han, R. Muller, and M. C. Wu, "Large-scale broadband digital silicon photonic switches with vertical adiabatic couplers," Optica, vol. 3, no. 1, pp. 64, Jan. 2016. M. S. Eggleston and M. C. Wu, "Efficient Coupling of an Antenna-Enhanced nanoLED into an Integrated InP Waveguide," Nano Letters, vol. 15, no. 5, pp. 3329--3333, May 2015. M. S. Eggleston, K. Messer, L. Zhang, E. Yablonovitch, and M. C. Wu, "Optical antenna enhanced spontaneous emission," Proceedings of the National Academy of Sciences, vol. 112, no. 6, pp. 1704--1709, Feb. 2015. B. Yoo, M. Megens, T. Sun, W. Yang, C. Chang-Hasnain, D. A. Horsley, and M. C. Wu, "A 32 × 32 optical phased array using polysilicon sub-wavelength high-contrast-grating mirrors," Optics Express, vol. 22, no. 16, pp. 19029, Aug. 2014. K. Yu, A. Lakhani, and M. C. Wu, "Subwavelength metal-optic semiconductor nanopatch lasers," Optics Express, vol. 18, no. 9, pp. 8790--8799, April 2010. E. K. Lau, X. Zhao, H. Sung, D. Parekh, C. Chang-Hasnain, and M. C. Wu, "Strong optical injection-locked semiconductor lasers demonstrating > 100-GHz resonance frequencies and 80-GHz intrinsic bandwidths," Optics Express, vol. 16, no. 9, pp. 6609-6618, April 2008. A. Jamshidi, P. J. Pauzauskie, P. J. Schuck, A. T. Ohta, P. Chiou, J. Chou, P. Yang, and M. C. Wu, "Dynamic manipulation and separation of individual semiconducting and metallic nanowires," Nature Photonics, vol. 2, no. 2, pp. 86-89, Feb. 2008. P. Y. Chiou, Z. H. Chang, and M. C. Wu, "Droplet manipulation with light on optoelectrowetting device," Journal of Microelectromechanical Systems, vol. 17, no. 1, pp. 133-138, Feb. 2008. E. K. Lau, H. K. Sung, and M. C. Wu, "Frequency Response Enhancement of Optical Injection-Locked Lasers," IEEE Journal of Quantum Electronics, vol. 44, no. 1, pp. 90-99, Jan. 2008. J. Yao, D. Leuenberger, M. C. Lee, and M. C. Wu, "Silicon microtoroidal resonators with integrated MEMS tunable coupler," IEEE Journal of Selected Topics in Quantum Electronics, vol. 13, no. 2, pp. 202-8, 2007. M. C. Wu, O. Solgaard, and J. E. Ford, "Optical MEMS for lightwave communication (Invited Paper)," J. Lightwave Technology, vol. 24, no. 12, pp. 4433-4454, Dec. 2006. M. M. Lee and M. C. Wu, "Tunable coupling regimes of silicon microdisk resonators using MEMS actuators," Optics Express, vol. 14, no. 11, pp. 4703-4712, May 2006. P. Y. Chiou, A. T. Ohta, and M. C. Wu, "Massively parallel manipulation of single cells and microparticles using optical images," Nature, vol. 436, no. 7049, pp. 370-372, July 2005.